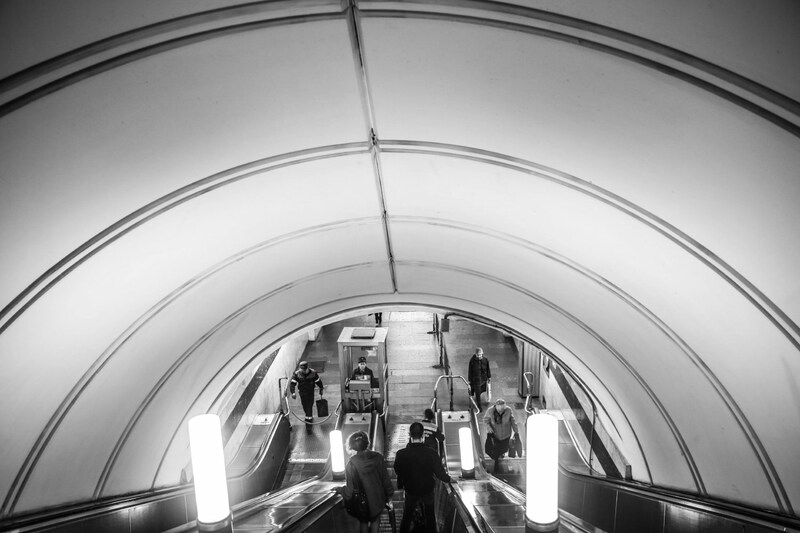 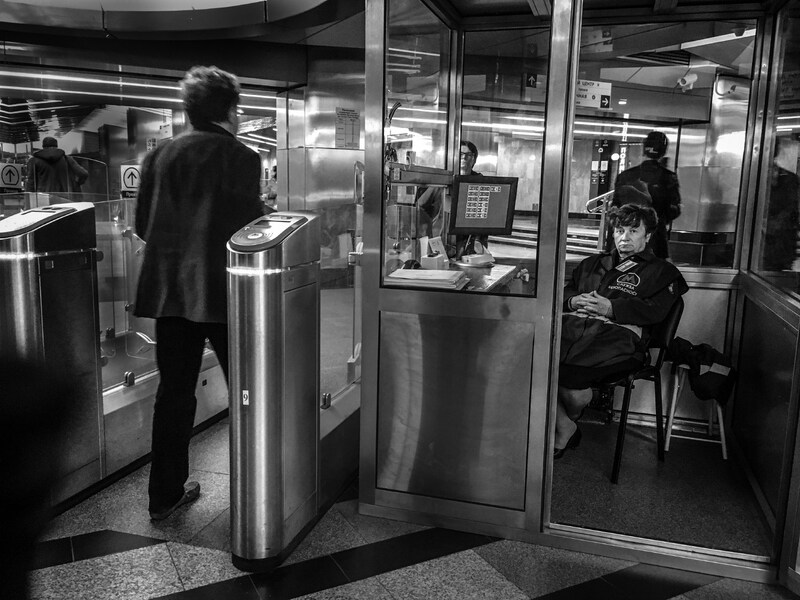 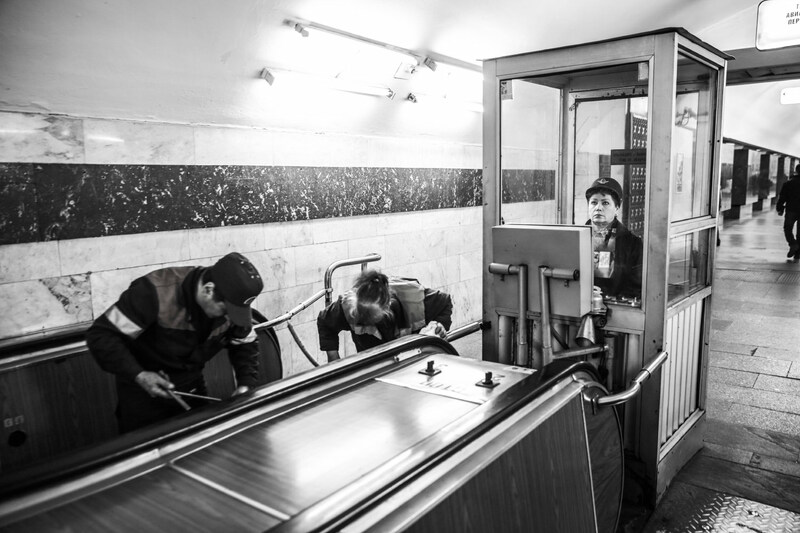 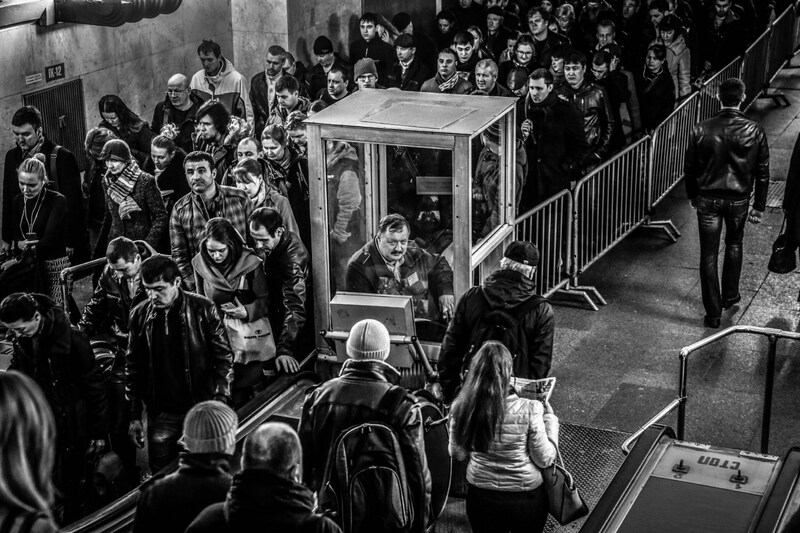 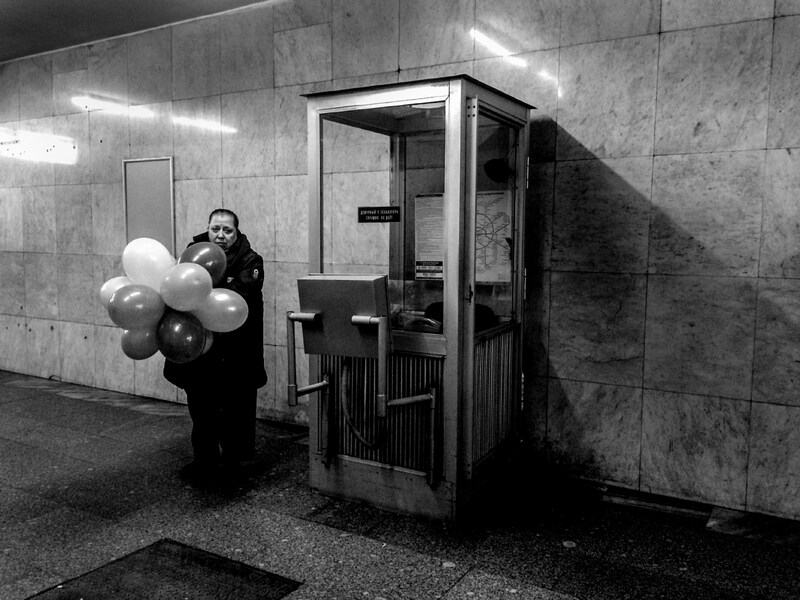 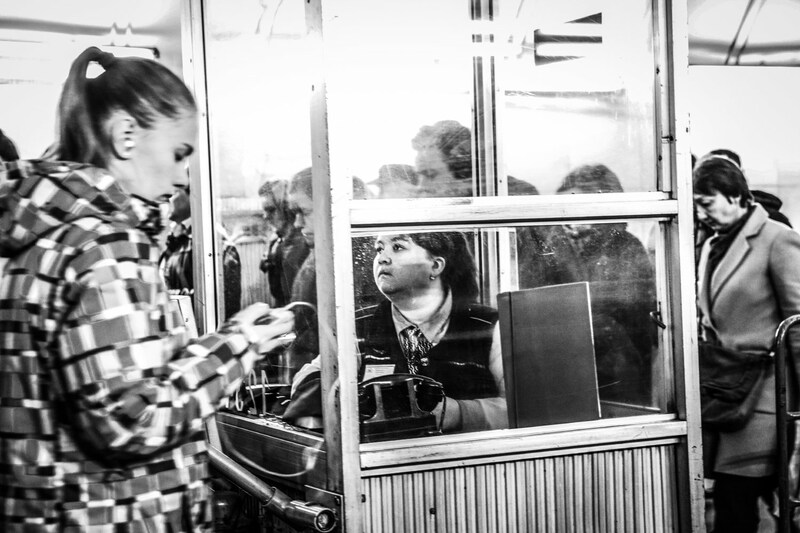 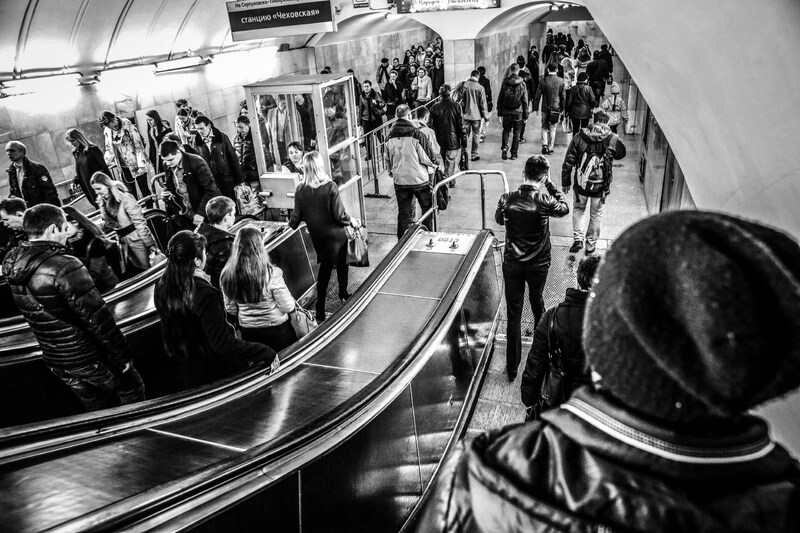 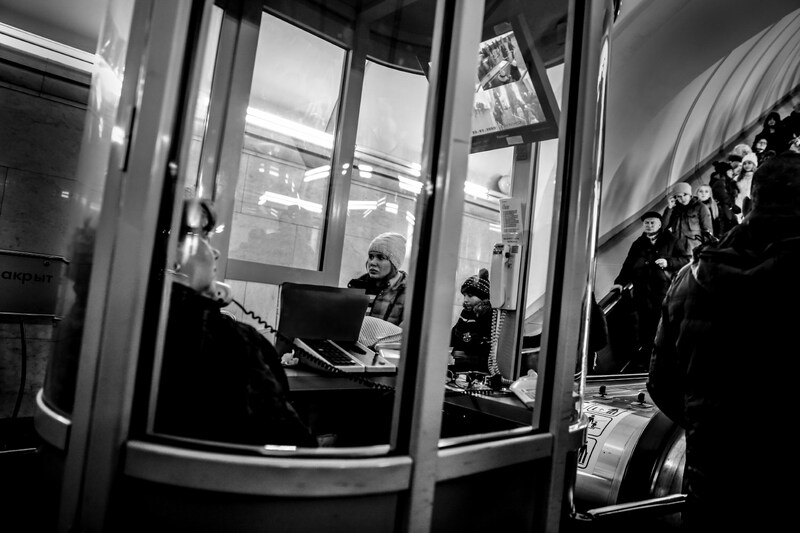 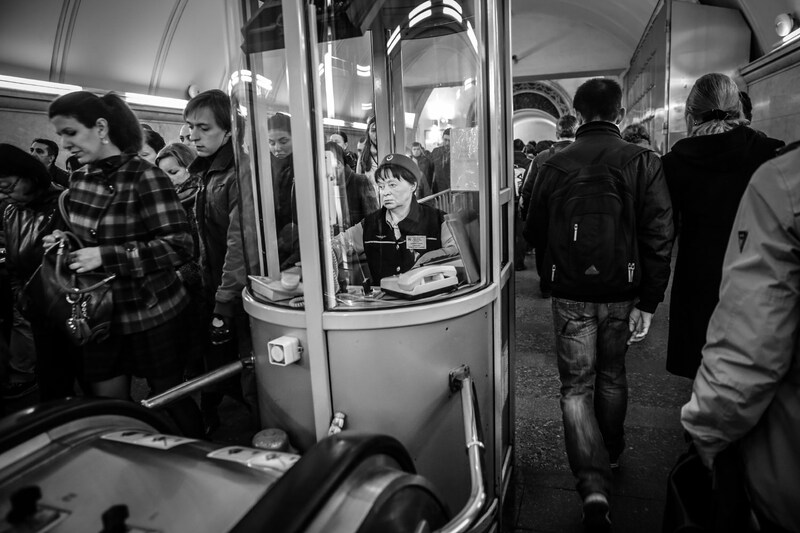 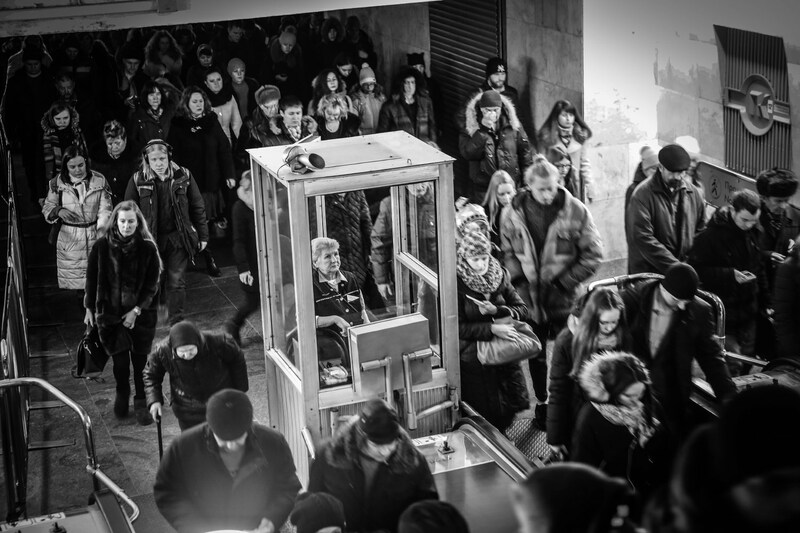 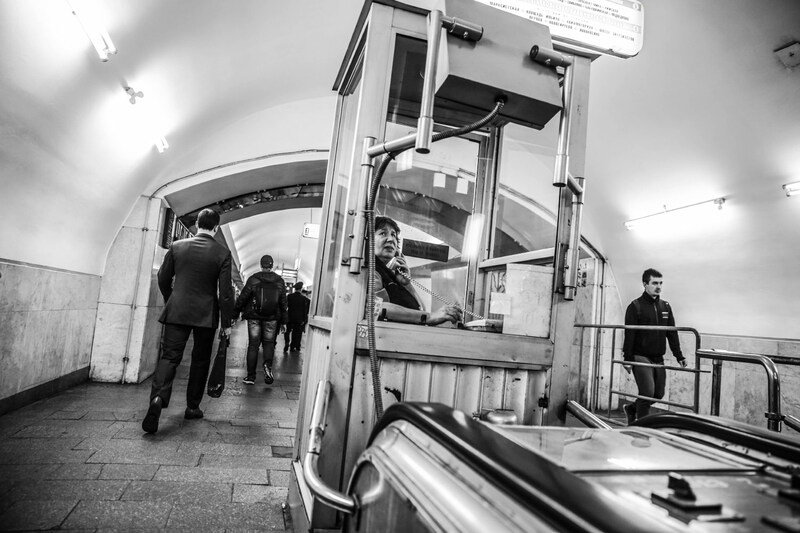 Guards of the Moscow underground are the people who in 12 hours shifts stay in one place, 0,25m2 cage to keep an eye on the moving stairs and watche the passengers walking. 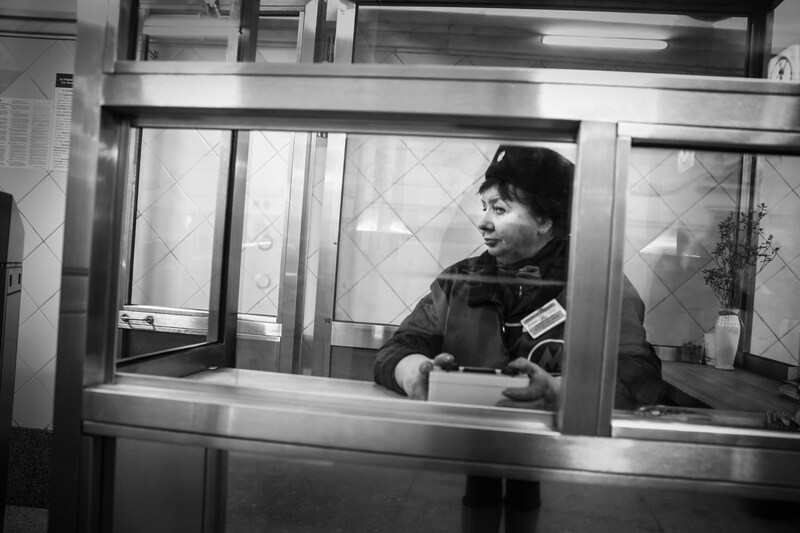 99% of stair guards are pensioner women earning about 200 euro a month. 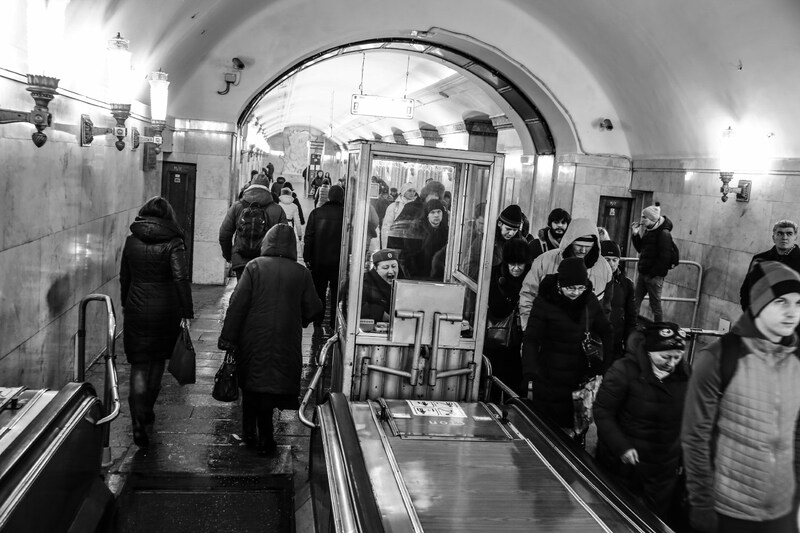 Most of them has to commute from the outskirts on the everyday basis. 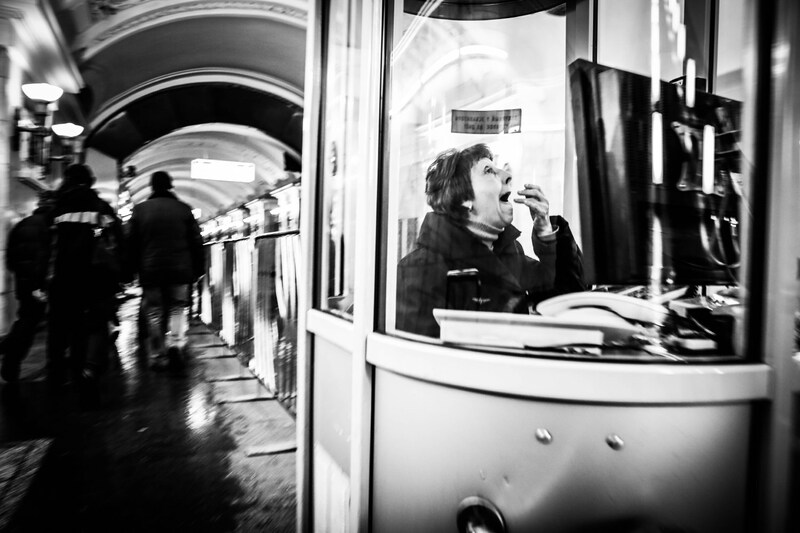 In 2017 the elegant pensioner women were fired and substituted by the middle age men.